Frigidaire Laundry Appliances Hutchinson MN | Frigidaire Commercial Grade Appliances Hutchinson MN	| GSM, Inc.
A new washer and dryer can transform the way you think about doing laundry. GSM aims to bring you the best laundry appliances in the industry. That is why GSM confidently sells Frigidaire® washers and dryers. 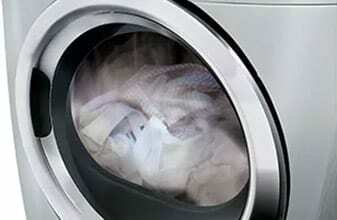 Frigidaire introduced its first washer in 1947 and has since continued to produce many innovative washers and dryers. With every new model, the brand has leaped into the future, consistently introducing new features and improving upon what consumers already loved. 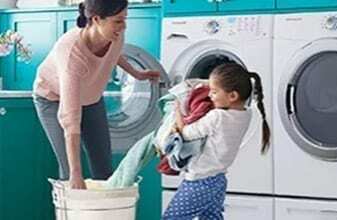 Today, Frigidaire manufactures some of the best washers and dryers on the market with features that make the weekly chore a breeze. 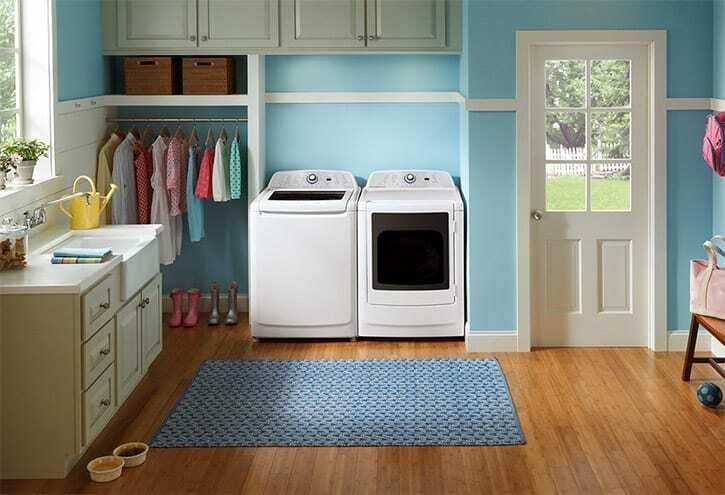 Frigidaire washers and dryers offer many features to make your life easier. 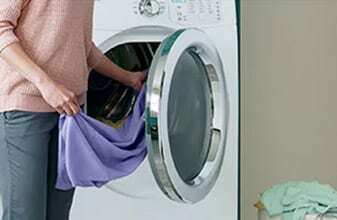 Clean clothes faster with Quick Wash™, a full load of clean laundry in just 20 minutes. Immersion Care™ Wash Action gently spins and moves water and detergent through clothes for more thorough, gentle cleaning. Advanced rinse technology incorporates a fresh water rinse for whiter whites, brighter colors and clothing that feels fresher. Dries even extra-large loads quickly and efficiently. 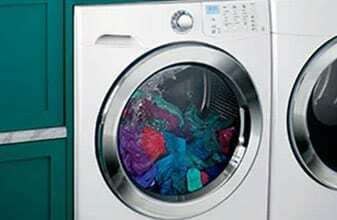 Allow for better control over fabric care and the drying process. 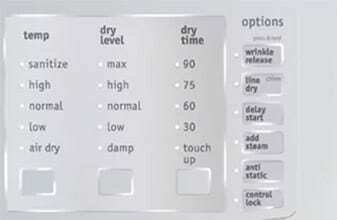 More Dry, Normal, Less Dry or Damp can be selected. Prevents wrinkles, so your clothes look great every time. The Wrinkle Release System finishes by tumbling without heat. GSM has been providing quality service across southern Minnesota since 1904. A trusted source of residential and commercial products, GSM strives to provide friendly, knowledgeable service as you shop for a new washer or dryer. Visit GSM’s showroom to explore all of the available Frigidaire washer and dryer models and choose the one that is right for you!